Before you start any of the individual or group activities, print the Action Plan below. Complete your Action Plan as you work through each activity - each activity will tell you exactly when you need to get your teacher's signature. 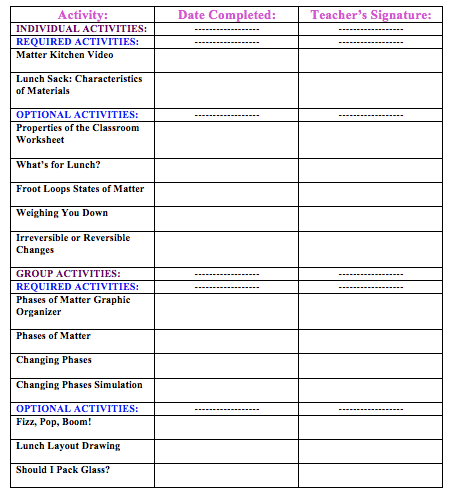 After you have printed the Action Plan below, click on "Individual Activities" to begin your science investigations!